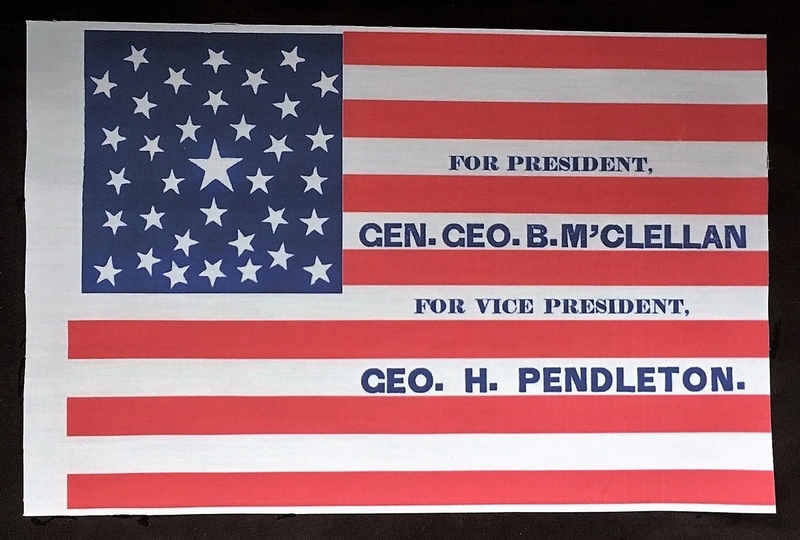 One sided, printed cotton campaign flag, produced to promote Democratic presidential candidate George B. McClellan and vice presidential candidate George Pendleton during the 1864 election. 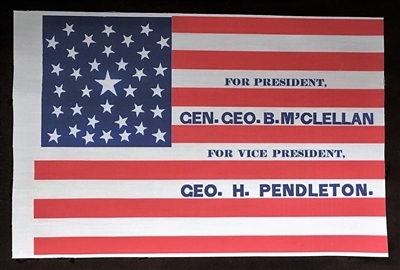 The Flag measures approx. 6.5" by 10.5", and has a raw edge, per the original, though you could add a rolled hem if you wish. The original shows evidence of being tacked on the right side, though there's numerous ways that you could mount, or display the flag.